A pulverized coal-fired boiler is an industrial or utility boiler that generates thermal energy by burning pulverized coal (also known as powdered coal or coal dust since it is as fine as face powder in cosmetic makeup) that is blown into the firebox. Compared with other vertical boilers, coal fired boiler requires high technology, more reasonable and compact structure. The overall cost of manufacturing one set of coal fired boiler is high. Therefore,to choose a suitable and a good coal fired boilers manufacturer is very important, you should to pay attention to two points. 1. Large-scale company with professional technicians and good after-sale service. Why this is important? A small boiler manufacturing workshop may produce vertical coal fired boilers, but it cannot manufacture coal fired boiler, because the cost of boiler of coal fired is high, and they are lacking of the technology, they usually won’t manufacture it. Even though they have the ability to manufacture, the quality is questionable. ZG as a large-scale boiler manufacturer, we insists on the principle of “technology innovation, quality foremost.” We have long-term cooperative with famous universities, like Tsinghua University. Meanwhile, we won the bid of World Bank GEF. This is an aspect of our power. We can supply the best coal fired boiler to you. 2.Large scale company with experience of manufacturing coal fired boilers system and large numbers of clients. A good product is not only its beautiful appearance, but also its mature installation technology, and it perfect after-sale service. The installation and after-sale service we cannot see from the appearance, therefore, customers' praise can prove whether a product is good or bad. 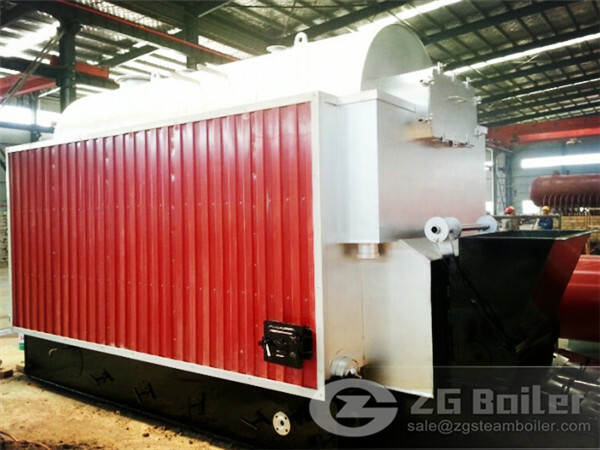 ZG has provided several successful coal fired boiler for many factories. You can see these in our successful cases. How much the price of our coal fired boiler? We need know the details of coal fired boiler that you wanted, for example, cpacity, pressure, etc. It is a wise decision to cooperate with ZG.We are a strength coal fired boiler supplier.